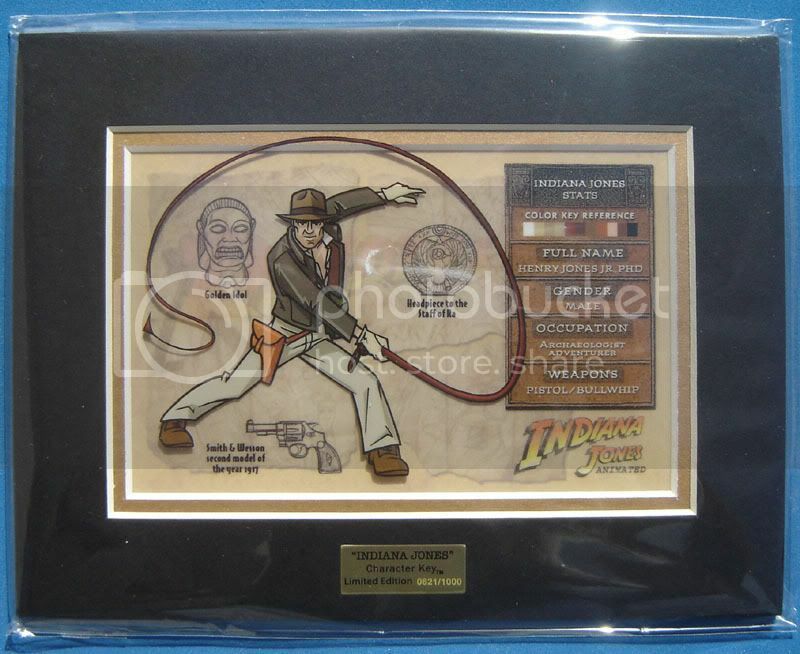 I'm not in for a full line of Indy keys and just want Indy himself, but that Short Round looks nice. 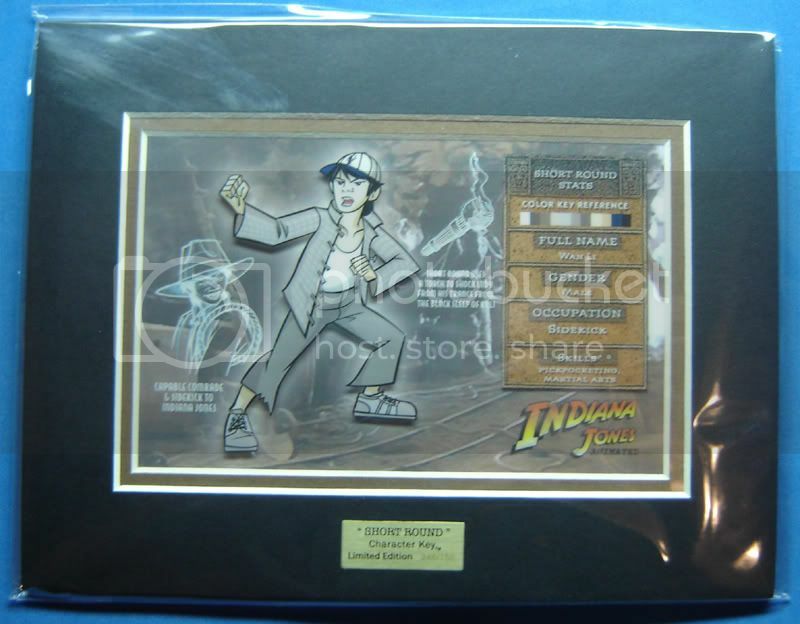 Anyone notice that the Indiana Jones is for sale at characterkey.com? I'm canceling my order at IJS.com and placing one there. I much prefer the $3 shipping fee instead of the **** shipping SWS and IJS charge. That Short Round key does look pretty nice. This is where I have to decide how far I want to go with these. I originally just planned on getting the Indy as well, so we'll see. Thanks for the heads up on CharacterKey.com Mikey, I also cancelled my IJ Shop order and placed one there. I've never had a problem with a damaged key or anything from them, and the $3 flat shipping is nice. 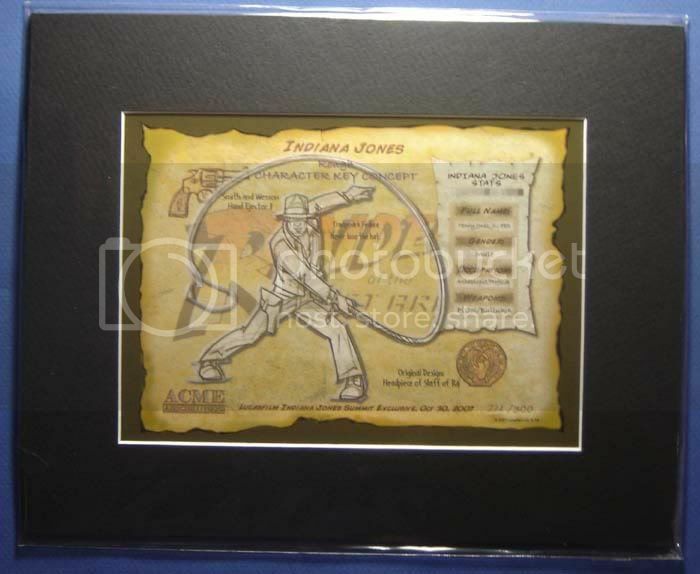 The Short Round key is up for preorder at indianajones.com for $35.00 & limited to 750 & ships June 1st. Get him while you can, I did. 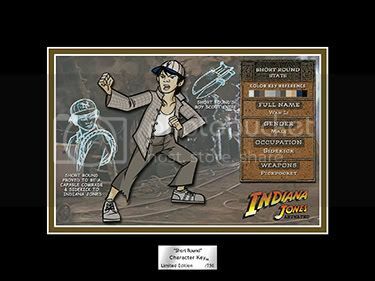 My Indy character key has been shipped, sweet! My Indy character key has arrived! Sweeter! This will go very well with my Summit Exclusive concept key. I like the concept key better. 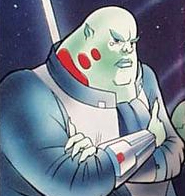 The only thing it's missing, IMO, is the idol. Otherwise, it has more character (no pun intended) than the production piece. Still, the released key is nice. I passed on these and the OT Star Wars keys but I love the Clone Wars series. Has anyone heard anything about the Indy Character Key, if ordered from characterkey.com? I see that it has been in stock for a bit at IndyShop, but I cancelled my order there since the shipping was cheaper through ACME itself - but I haven't heard anything about it since. I thought it was supposed to be shipping in May. No big deal, not like I'm in a hurry to spend money, but just curious if it might be shipping soon. I got mine last week from characterkey.com, Brian. I'd expect you'll be getting it shortly. I have a pick up at FedEx, looks like my Short Round key has arrived. Just a quick shot of my Short Round character key, #246/750. The cell is different than the production cell that is shown on www.characterkey.com The cell has a torch instead of the 2 daggers & he is wearing a ball cap instead of a Fedora. Also the Stats chart has changed, on the bottom it no longer has "Weapons" listed. Now it's "Skills" & "Martal Arts" added. Still a cool cel to add with the Indy keys, looking forward to the next one. I was just over at the Indy shop checking to see if they still had the Indy character key in stock (it still tempts me), and noticed that the Short Round key was discounted down to $14.99. This might be incredibly old news, but I just thought I'd pass it along in case anyone was interested. I haven't heard if this line is continuing at all, as it seems many to most of the Indy lines are slowly dying out (aside from LEGO).